Since my father died on March 6, I have been looking through his papers. I found a small sheet with the following fifteen counsels, titled “Things I Have Learned.” He didn’t make most of these up. Some of them go back to his college days when he was absorbing the pithy wisdom of Bob Jones Senior. They have again confirmed the obvious: I owe my father more than I can ever remember. The comment after each one is mine. This is what one might say to a person perplexed by a difficult situation whose outcome is unknown. The person might say, “I just don’t know what to do about this.” It is not useless to be told: Do the right thing. That may not tell you exactly which good thing to do, but it does clear the air and rule out a few dozen bad ideas. My, my, my. 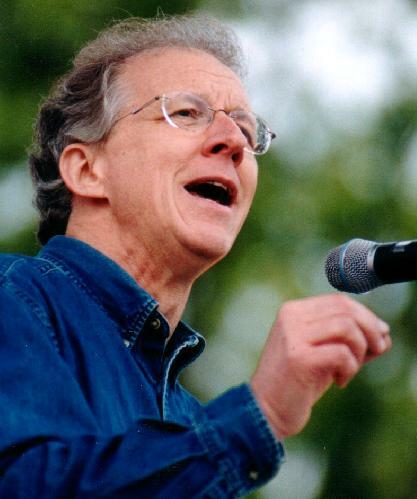 How was John Piper born from this? I would never say this. The main reason is that the Bible commands us to pursue our joy repeatedly. “Rejoice in the Lord, and again I say rejoice.” “Delight yourself in the Lord.” I think what he meant was: 1) Joy is always in something. Joy itself is not the something. So we seek joy in Christ. Not just joy in general. 2) When duty is hard and we do not feel joy in doing it, we should still do it, and pray that in the doing it the joy would be given. But what we need to make plain is that duty cannot be contrasted with joy, because joy is a biblical duty. Remarkably, this saying implies that opposition is not just a natural accompaniment or antecedent of success, but that it is a means by which the door opens. One can think of many biblical examples. The opposition of Joseph’s brothers opened the door to his leadership in Egypt. The taxing of the empire opened the door to getting the Messiah born in Bethlehem, not Nazareth, and thus fulfilling prophecy. The betrayal of Judas opened the door to the salvation of the world. 6. It is never right to get the right thing in the wrong way—like good grades, wealth, power, position. Don’t sacrifice your principles. Again, he hammers away at don’t use bad means for good ends. Be a principled, not a pragmatic, person. O how we need to hear this today. Churches need to be principled, not endlessly adapting to culture. Persons need to make a promise and keep it no matter how much it hurts. “Whatever your hand finds to do, do it with your might” (Ecclesiastes 9:10 ). But be careful. Sometimes the “best” is a B+ sermon and spending time with your child. In other words, “best” always involves more decisions than the one you are making at the moment. That one means many other things are being left undone. So “best” is always the whole thing, not just the detail of the moment. Don’t marry an unbeliever (1 Corinthians 7:39). Not all relationships with unbelievers are ruled out. Otherwise we could not obey Jesus’ command to love them and bless them. But “yoke” implies a connectedness that either governs where we go or constrains where they go. And you cannot constrain faith in Jesus. It is free. This is the counterpoint to the advice: Go with your strengths. There is truth in both. Yes, be encouraged by every evidence of God’s grace in your life, and use your gifts and graces for his glory. But you will become smug and vain if you do not keep your deficiencies before you and work on them. 10. Don’t quit. Finish the job. God can’t use a quitter. Warning: “He who endures to the end will be saved” (Mark 13:13). Promise: “He who began a good work in you will bring it to completion at the day of Jesus Christ” (Philippians 1:6). O how thankful I am that this was the dominant way my father pressed me to pursue my sanctification. He did not mainly impose lists of don’ts on me, though we had them. And they were clear. Mainly he said: Maximize your progress in knowing and serving God. That ruled out a hundred foolish behaviors, some bad and some uselessly innocent. 13. It isn’t enough to be good. Be good for something. The essence of Christianity is not a passionless purity. This is what I have meant in talking about a merely avoidance ethic. Don’t just think of righteousness or holiness in terms of what you avoid, but what you do. As my father said in another place: Don’t be a don’ter; be a doer. This is wise counsel that affirmation of the good always implies negation of the bad. If you think you can live your life without negating anything, you have lost touch with reality. “Abhor what is evil; hold fast to what is good” (Romans 12:9). You cannot love without hating what hurts the beloved. I love John Piper. I must, however, point out that Phil.1:6 (Point 10), in the context of the passage, is talking about the Philippians’ participation in the spread of the Gospel, not in the their individual growth as Christians. A better reference would have been I Cor.1:8 (Our Lord Jesus Christ) who shall also confirm you to the end, blameless in the day of our Lord Jesus Christ. You’re points are well taken, but I’d like to suggest you take them up with him… all I did was cut and paste what he wrote. Thanks for your comments!